We believe engaged patients make better decisions and are more likely to be satisfied with their treatment. Join us for educational events and festivities, and enjoy the benefit of loyalty programs and other specials. Save up to $100 off BOTOX through a limited time offer from Brilliant Distinctions. Redeem here. 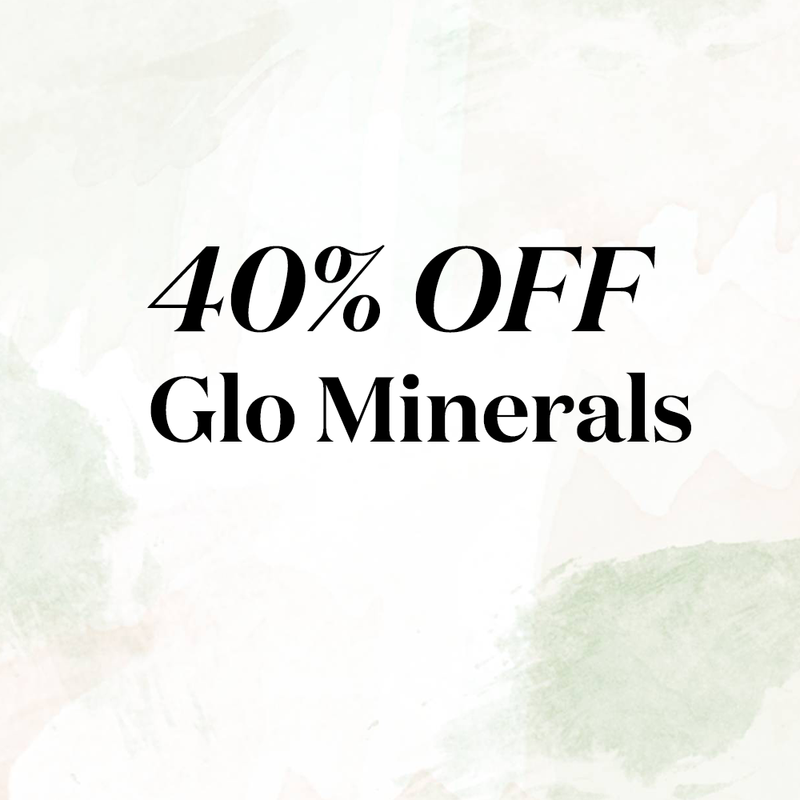 Enjoy 40% off all Glo Minerals products while supplies last! Birthdays are special and we’ll help you celebrate! Enjoy $50 – $100 off any one cosmetic treatment within 30 days of your birthday. Promotions are nice…. if you happen to need the promotion when it’s offered. Listening to her patients, Dr. Cox years ago reasoned since everyone has a birthday, everyone could plan and pick their own promotion treatment. It must be a great idea ’cause other practices are starting to copy us 🙂 Oh well, we’re flattered to be leading the way with $50 off on 90% of your birthdays. What’s with the 90% you ask? Well, as we approach significant milestone birthdays, such as the “Big 40,” we often find ourselves evaluating lifestyle, goals and appearances. Skin changes as we age and milestone birthdays are the perfect time to update skin care routines and invest in your appearance. So, 10% of the time – when your age ends with a “0” – our birthday gift is $100 off! The Happy Birthday Savings CAN be combined with all other offers and specials. How’s that for a birthday present? The Sparkle Pass offers special discounts on virtually any cosmetic service. The Sparkle Pass can only be purchased at our open-house Sparkle Party, held the last Thursday in October each year. The 2018 Sparkle Pass is valid from October 27th, 2017 to October 24th, 2018. The Sparkle Pass charge is $50.00, all of which is donated to charity. In 2017, the Sparkle Pass donated over $13,000 to hurricane relief in Texas, Puerto Rico and Florida. The Aspire Rewards Program allows you to earn points with treatment, and redeem them as discounts on future treatment. Aspire covers the Galderma group of aesthetic products, including Dysport, Sculptra, Restylane, Restylane Silk, Restylane Lyft, Restylane Refyne and Restylane Defyne. We’ll be happy to help you sign up for the Aspire program, and can help you manage and redeem your points at each visit. Aspire Rewards has five levels of loyalty. The higher your status, the greater your earning potential and the more valuable your rewards. Brilliant Distinctions allows you to earn points with treatment, and redeem them as discounts on future treatment. Brilliant Distinctions covers the Allergan group of aesthetic products and services, including Botox, Kybella, Juvéderm, Voluma, Vobella, and Vollure. Effective January 2018, Brilliant Distinctions points are earned on all Coolsculpting treatments. We’ll be happy to help you sign up for Brilliant Distinctions, and can help you manage and redeem your points at each visit. Brilliant Distinctions has different reward thresholds. The higher your status, the greater your earning potential and the more valuable your rewards.